Making iOS Apps really leaves you with only one option, get a Mac. But which one? I opted for the MacBook Pro and at the time it seemed the most sensible option. I've had it the better part of two years now, and in the process learnt some of its quirks. For those of you who don't own a MacBook or have yet to get friendly with it, there is a very specific process for using an external monitor. You plug in the monitor, close the notebook and then wake it up with the power adapter attached. This is called "clamshell mode". This might work fine if you're just checking your emails or doing the odd bit of surfing the web, but if you're doing work that taxes the processor you'll quickly end up with one very noisy very hot MacBook. The solution seems obvious, just open up the notebook so it can properly cool itself. The reality however is a little different. There is no option to run an external monitor with the MacBook screen disabled and trawling the forums you'll find a lot of people with the same issue. There is really only one solution, and that is to put a magnet in a very specific place to trick the MacBook into thinking the lid is closed. Should I have to do this with £2k+ of professional equipment? No. Will I make the best of a bad situation? You bet. 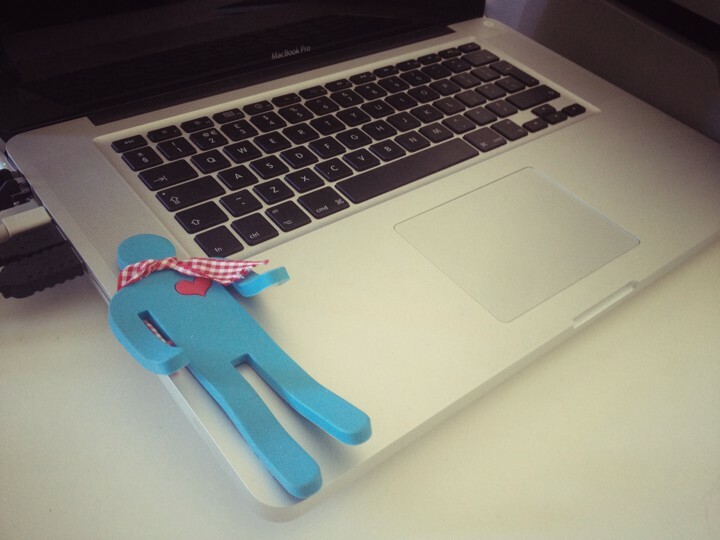 For those of you wanting your own funky looking magnetic man then check at your local steamer trading cook shop. If you were instead expecting some dubstep then look no further.